We are so pleased you will be joining us! If your organization provides goods or services that help transplant patients, you won't want to miss this exciting opportunity to exhibit. Showcase your organization to the hundreds of attendees who include transplant survivors and their family members, nurses, physicians, social workers and others involved in the care of transplant patients and survivors. Contact Marla O'Keefe at marla@bmtinfonet.org or 847-433-3313 for more information on exhibit opportunities and fees. Exhibitors do not need to complete the general online registration form to attend the conference. Contact Marla O'Keefe at 847-433-3313 or marla@bmtinfonet.org to register the individuals from your organization who will be staffing your exhibit. If you plan to ship materials to the symposium in advance, please contact Marla at marla@bmtinfonet.org or 847-433-3313 for instructions. Depending on what and when you will be shipping, you may need to ship to an address other than the hotel. Clearly mark all boxes with your organization's name and the words BMT InfoNet. Your materials will be delivered to your exhibit table Saturday morning, May 4, 2019 prior to set up. There is FedEx and UPS pick-up at the hotel should you need to ship materials home after the conference. 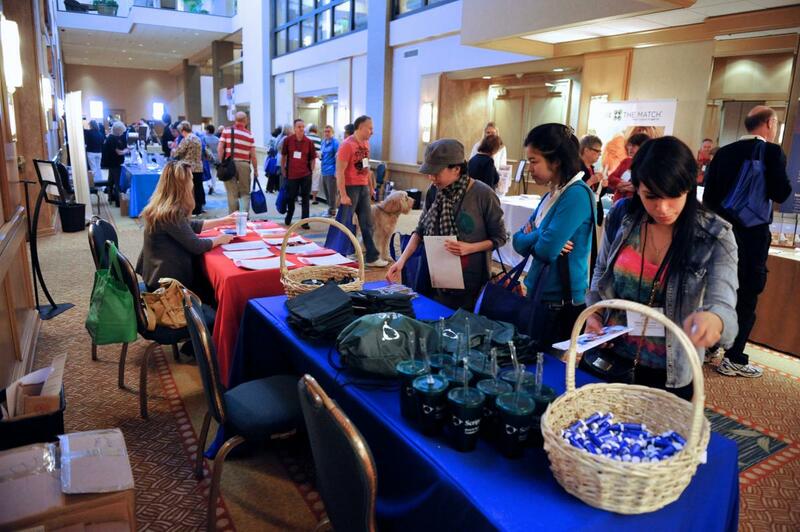 Before setting up, be sure to pick up your exhibitor registration materials at the symposium registration desk. Set up begins at 7:00 am on Saturday, May 4, 2019 and must be completed by 8:30 am. Attendees will begin arriving at 8:00 am to pick up their registration materials, so it would be advisable to have your exhibit set up before then. Exhibits will be located on the first floor outside the meeting rooms. Your exhibit table will be clearly marked. You will have one 6' table with skirting and two chairs (unless otherwise requested). Tear down will occur Sunday, May 5, 2019 beginning at 12:30 pm. If you need to tear down earlier, please do so while workshops are in session, not during breaks. Saturday, May 4, 2019: 8:30 am to 4:00 pm. Sunday, May 5, 2019: 8:30 am to 12:30 pm. If you have valuable items at your exhibit, we strongly encourage you to remove them after exhibit hours each day. We cannot be responsible for stolen property. You are welcome to offer free samples, literature and promotional items at your booth. We ask that you do not sell items without prior authorization from BMT InfoNet. Please contact Marla O'Keefe at 847-433-3313 or marla@bmtinfonet.org and let her know if your exhibitors will be joining us for Saturday lunch, Sunday continental breakfast and/or Sunday lunch.